Have you ever bought a box of LEGO Classic®, and scoffed at the age range to which the toy company recommends the product to? Classic®, which used to be known as LEGO Basic, is one of The LEGO Group’s most popular and most enduring toy lines. Unique to this line is the age recommendation “4-99” [years old] at the box front. Written on boxes since way back when, it should not be taken as “not allowed” for the elderly beyond 99 years old. Simply put, the fun of building toys can hardly ever be outgrown. Make that never outgrown. 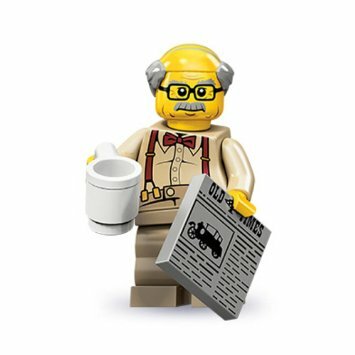 Besides, it’s not in LEGO’s thinking—or its business interests—to alienate centenarians from indulging themselves. They, however, have yet to design a toy line specific to the needs of the elderly (i.e. slowing down memory loss, and maintaining physical and sensory engagement). Learning is life-long. Even though the paces differ, we keep learning even in our senior years. And according to lots of scientific research on toys and games (yes, they have their own peer-reviewed journals), human beings, like animals in the early stages of life, play to learn and learn best during play. Play allows the practice of skills in safe environments, opens one to discovery and engrosses one in hours of entertainment. What follows is the phenomenon called “flow.” Without discussing psychology and body chemistry, it simply means feeling rewarded by discovery, goal-attainment and social connection (in group play), and later allowing ourselves to pursue even more of those rewards in the process. There are no limits, save for imagination and the desire to take the time and accomplish something, anything! To that, we can say with confidence that age, really, is just a number. It is society, and senseless notions here and there, that are sometimes suggesting self-imposed limits to the invigorating wonders of play. Therefore, ditch those social and personal biases that play and toys are just for kids and the all-too-popular “I’m too old for this.” From plastic scale models (which can only be built once to exacting specifications) to toys like LEGO (which are reusable), go for whatever delights you. If you choose the latter, go ahead—DITCH THE INSTRUCTIONS TOO, and let the hours fly and the creative juices flow!